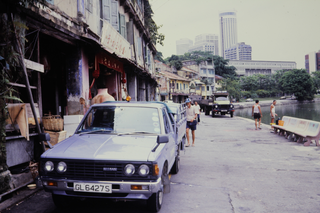 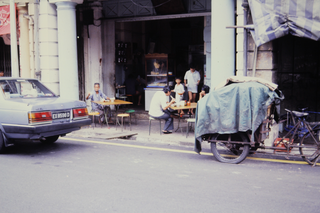 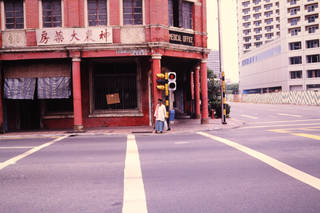 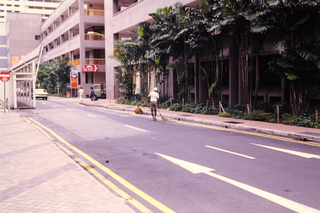 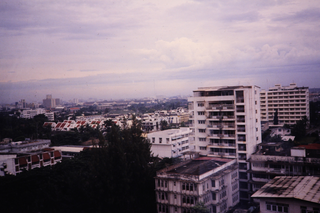 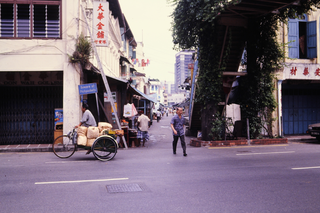 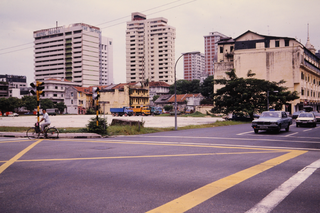 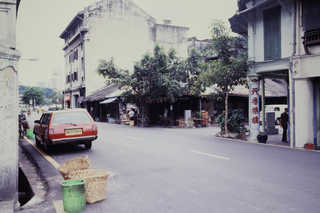 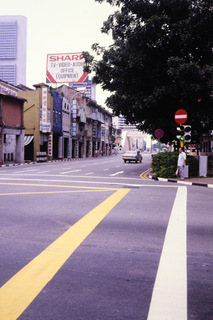 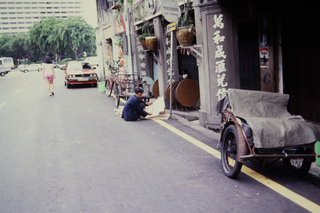 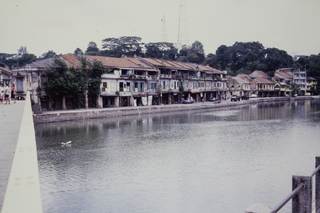 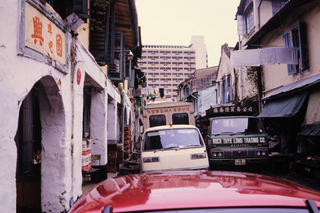 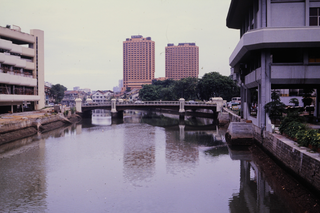 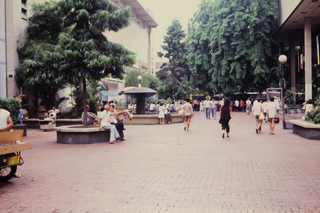 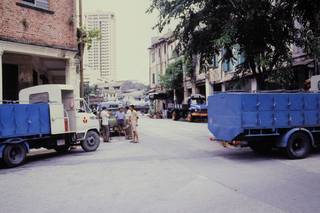 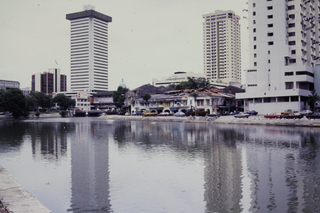 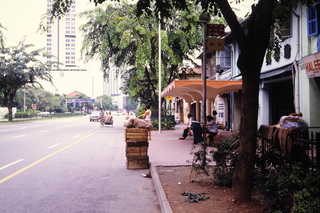 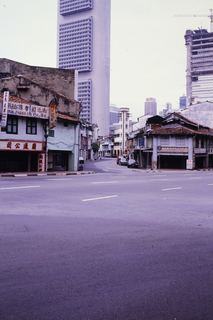 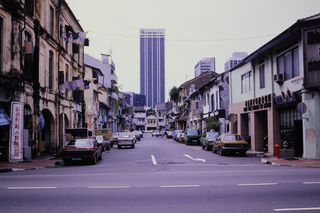 These slides are of Singapore urban development and were taken in 1984. 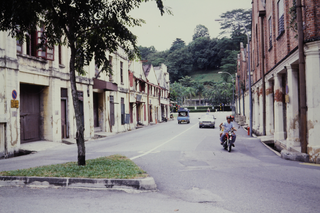 Singapore was occupied by the Japanese during World War II and had experienced some damage from their, and subsequent Allied, bombing raids. 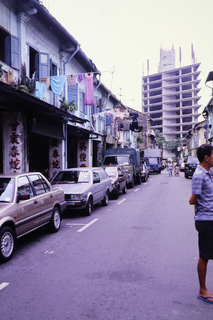 Prior to the war, the population of Singapore had exploded creating very dense living conditions. 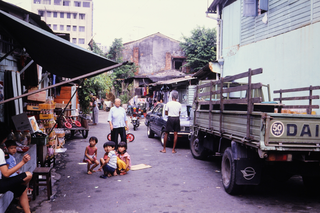 After the war, population growth continued with much of the population living in squatter housing. 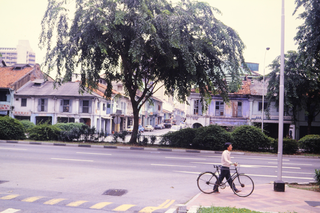 Starting in the 1960s, Singapore started to redevelop much of the central city by pulling down traditional and squatter housing and replacing it with modern, high rise apartments. 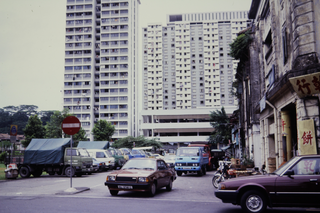 There are 26 slides that the show the mixture of old and new housing, as well as the mixture of commercial and residential land uses. 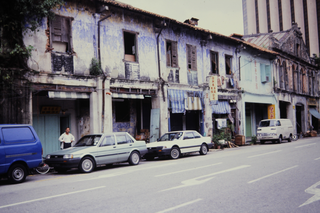 Many of the older buildings have businesses on the ground floor and residences on the second floor. 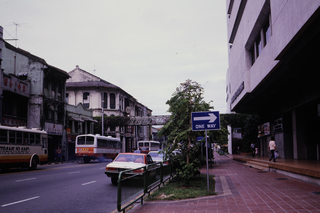 Bus stop near older commercial buildings.